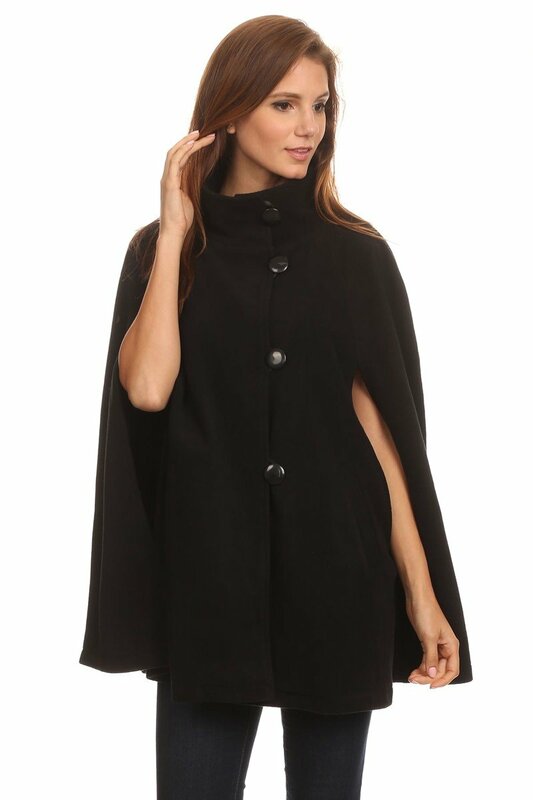 Soft and comfortable oversized fleece poncho is perfect for the cooler temperatures of Fall or early Winter. High collar with buttons for warmth and style. Has arm slits for mobility. No sleeves or shoulder seams, as well as open sides, for flexible sizing. This fashion outwear is not reversible. Wear it in place of a jacket or coat. Generously sized to fit a sweater underneath.